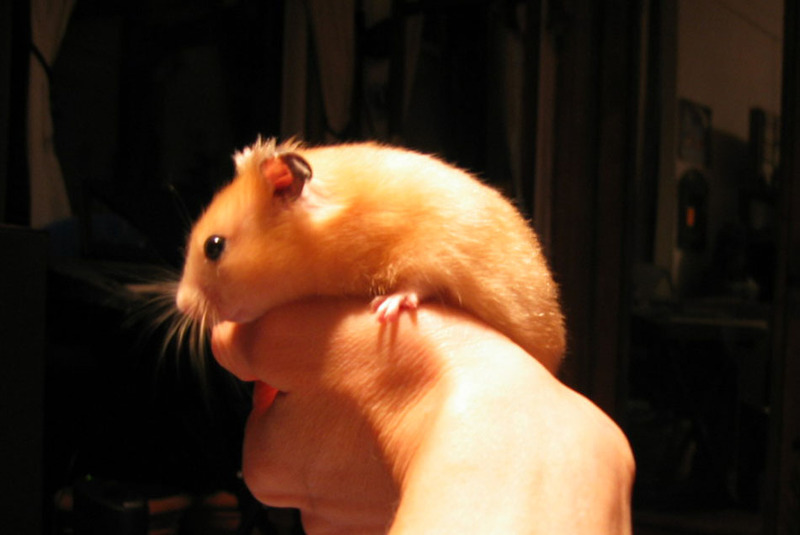 Hi, my name is Puck, and I am the cutest hamster that ever lived on this earth. 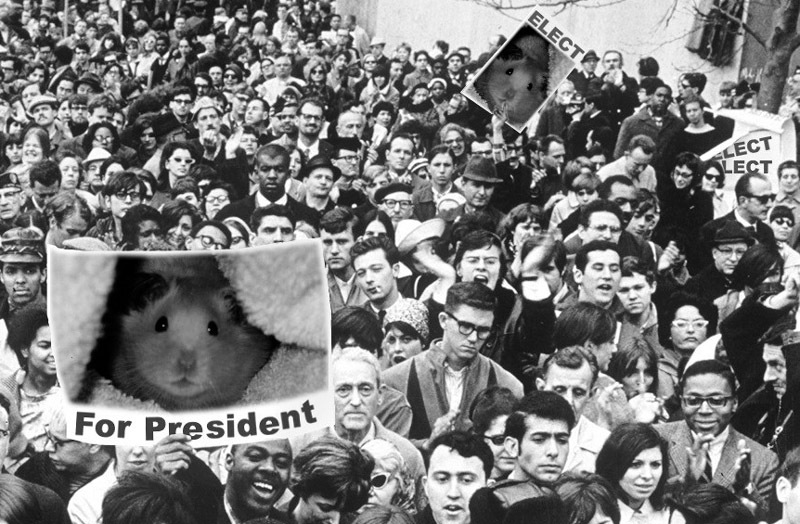 This website is a tribute to all my small and furry friends in the rodent realm, including those running free in the wild, the dear ones you call "pets" (the truth is they really own you), those taking refuge in animal shelters and rescue centers, and the unfortunate innocents who are imprisoned in laboratories and pet stores for crimes they didn't commit. It is my hope that after viewing this site, you will see these beautiful creatures in their full glory, and realize their rightful place in the ladder of spiritual evolution (the correct order being humans - rodents - angels - God). Once this has happened - and once every glue trap is destroyed - mankind will be rewarded with leaders more capable of guiding our nations towards peace. The exterminators will be replaced with President Puck and his Pals. I have also developed this site to display the musical and theatrical works of MsChiefmaker Productions, of which I am founder and president. The music contained in this site was composed (unless otherwise specified), recorded and performed by the MsChiefmaker, also known as K*ren Biehl, under the guidance of her muses: Sirs Apollo, Aengus and Adonis, Maestro Nicolini, Maestro Tehuti Menuhin, and Prince Eli; the dearly departed Angels Tiresius Rex, Sir Prancelot, Sir Palahad, Sir Phoenix, Sir Pyke, Princess Phoebe, Princess Peaseblossom, and Princess Pleaides, and of course me, Puck, the King of MsChiefmaker Haven. My noble friends and I are also gracious enough to act as her models and performers, with a talent and beauty unmatched by any human who ever set foot on stage. All material on this site is copyright protected (Copyright 2003 K*ren Biehl). If you attempt to claim it as your own, I will personally summon all my subjects in the mouse and rat kingdom to take up residence in your home. Sneak Preview of Rudolph ValentEli's Silent Film Debut "A Love Story"